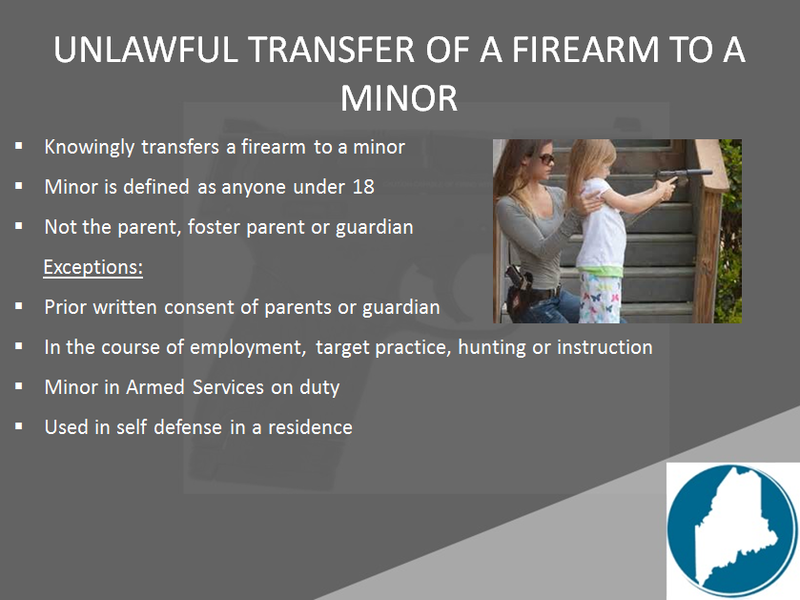 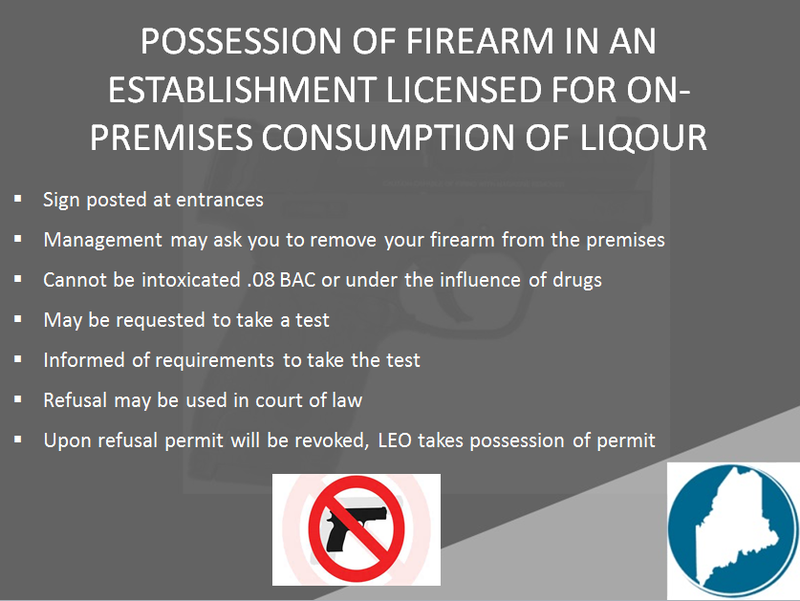 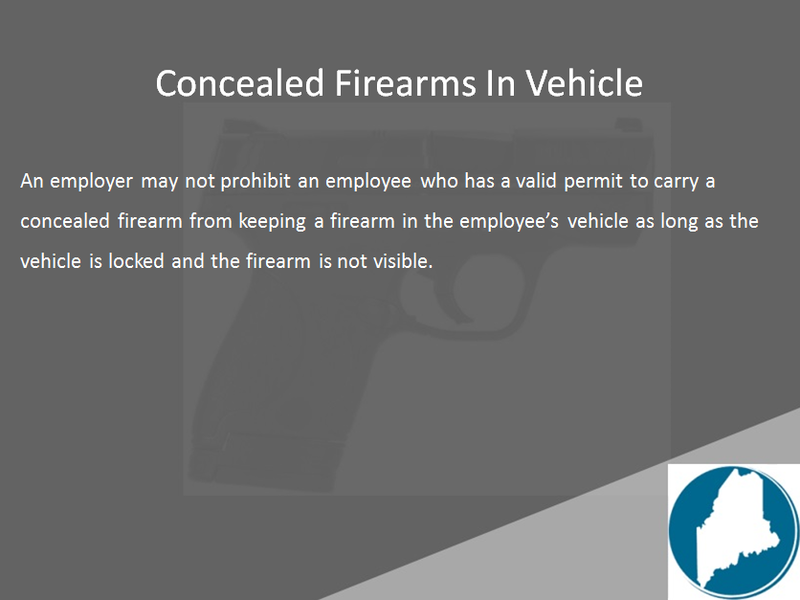 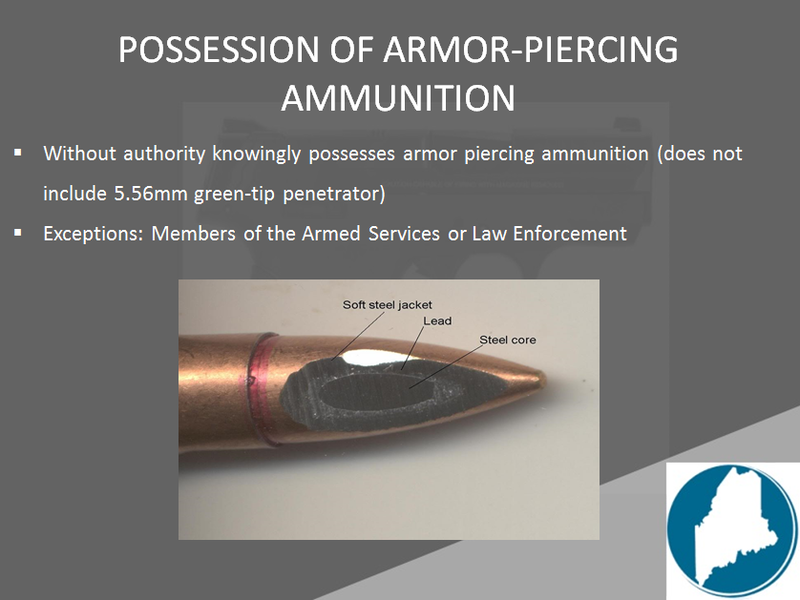 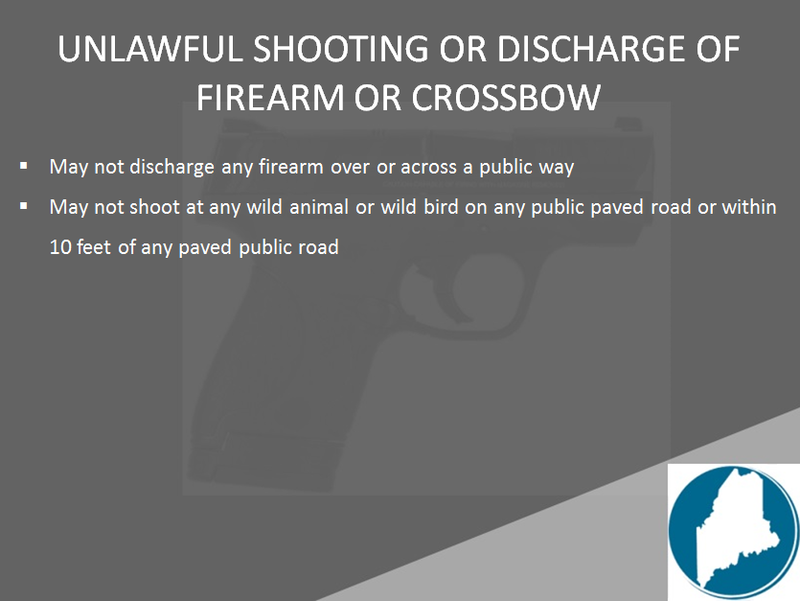 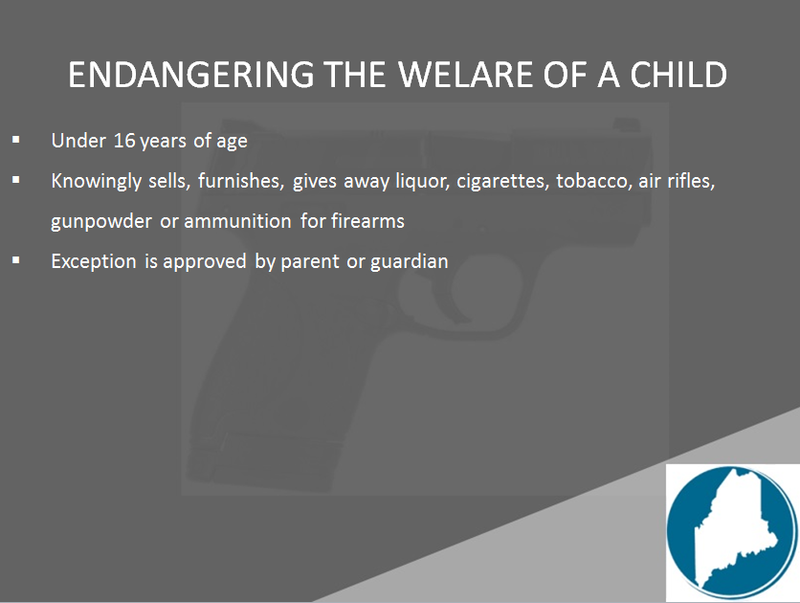 Click on tabs to view elements of laws pertaining to carrying a concealed handgun. 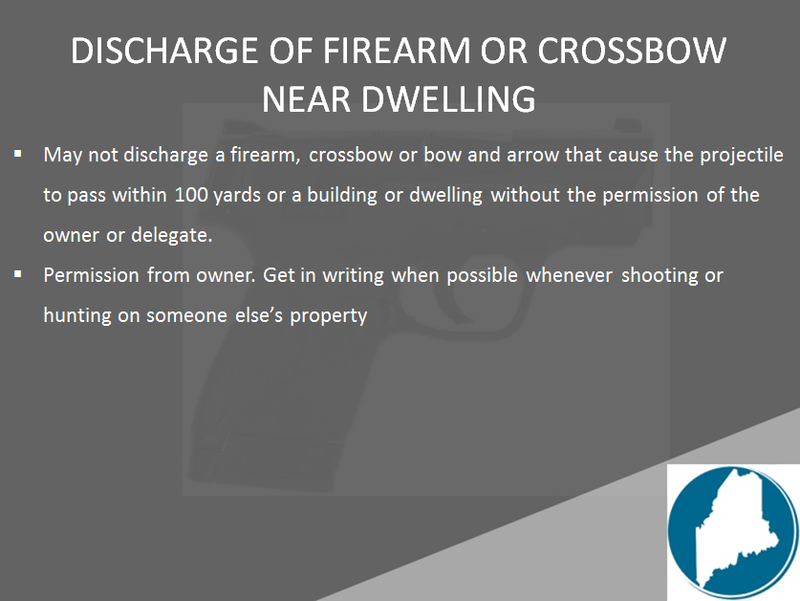 Navigate by hitting your back arrow then select another tile. 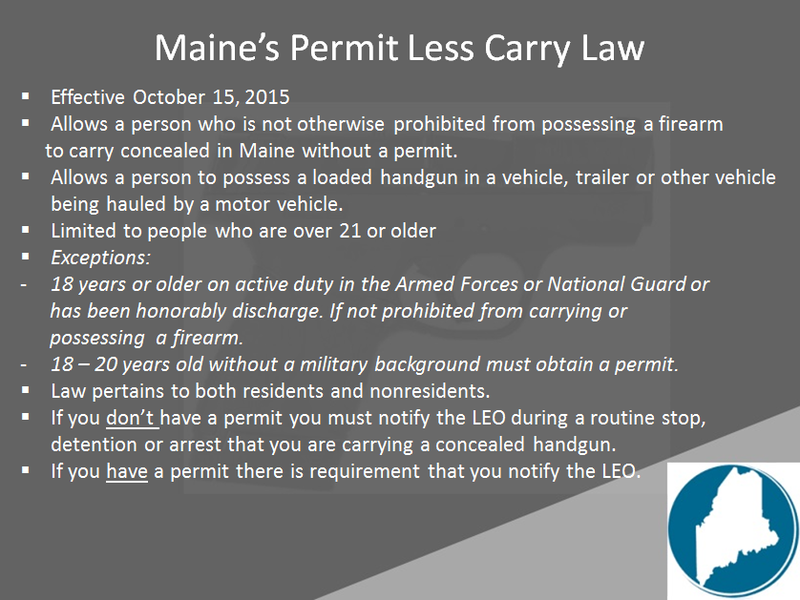 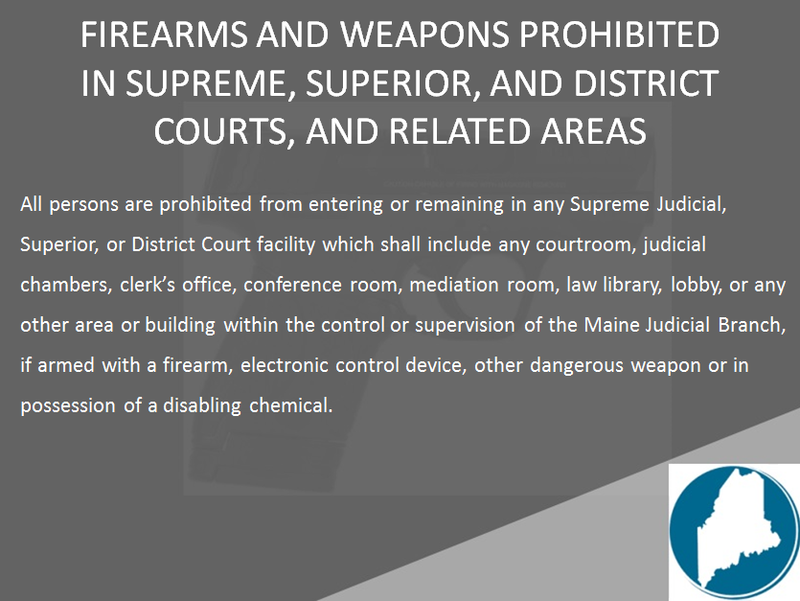 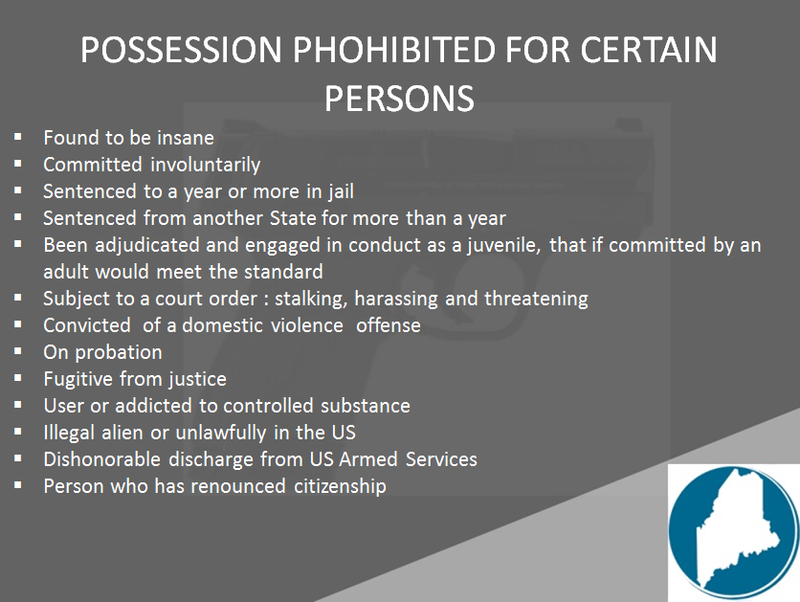 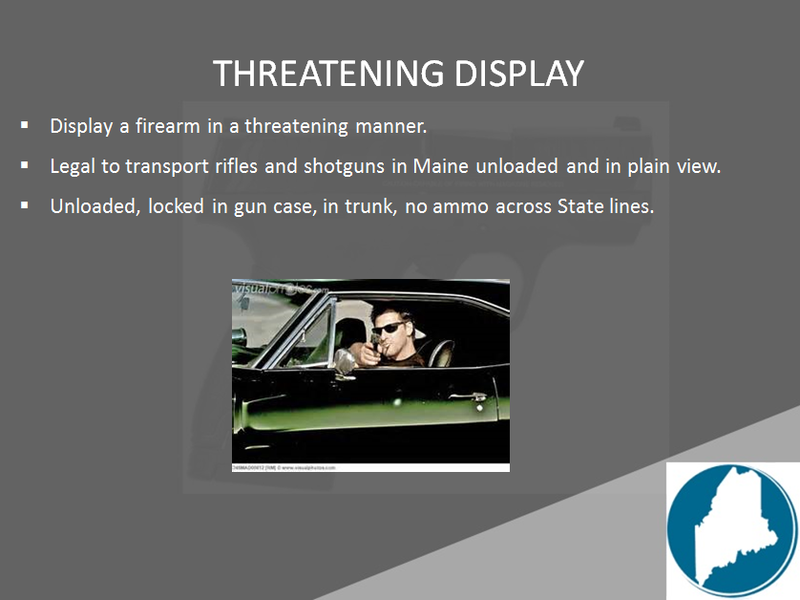 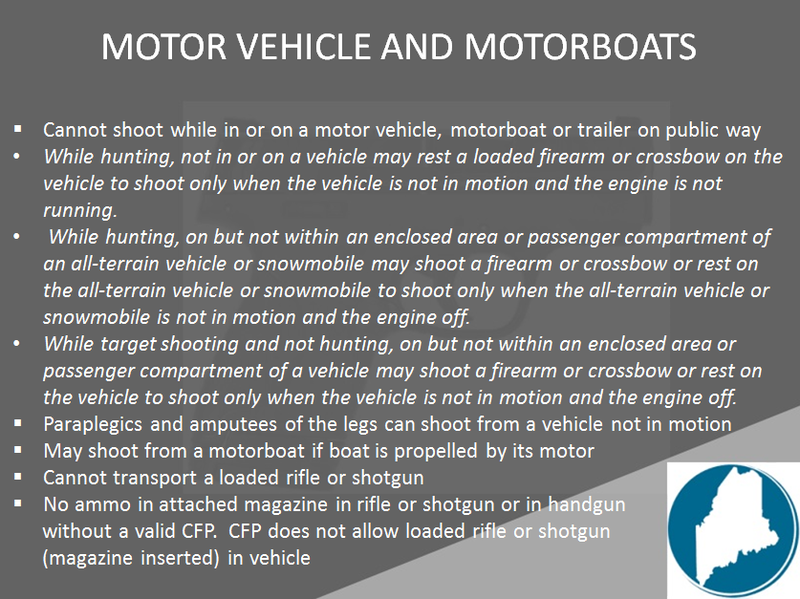 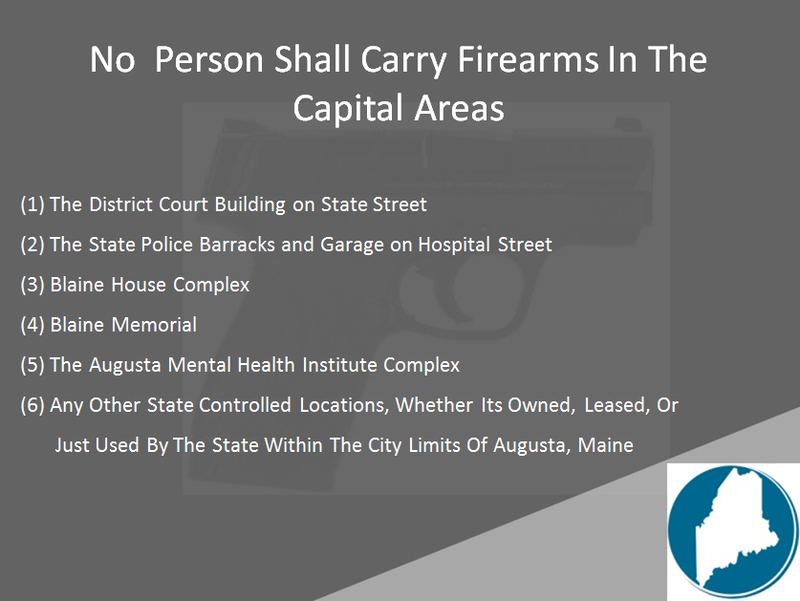 Click on "Maine Laws" tab to view Maine's Firearm Laws in detail. 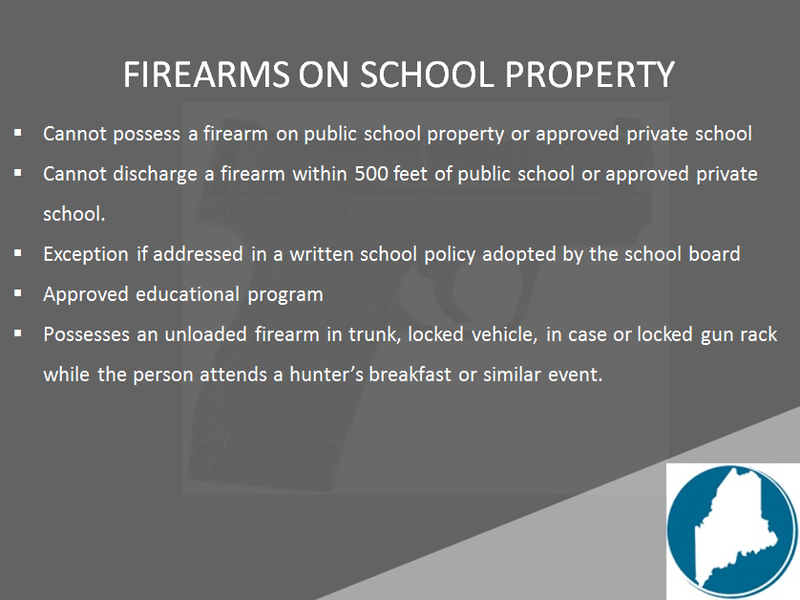 Enter "Firearms" in text field and scroll through results.